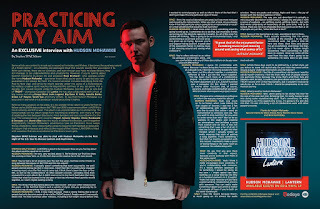 Discussions Magazine Music Blog: HUDSON MOHAWKE: An EXCLUSIVE interview! HUDSON MOHAWKE: An EXCLUSIVE interview! Some artists are content to knock out a record so formulaic and lifeless, it becomes the aural equivalent of a frozen dinner – an unhealthy pre-packaged meal that sounds exactly like you expect it to. With such dishes, there are no surprises, and even though you have no expectations, they still manage to be underwhelming and unsatisfying. However, if you’re talking about Scottish Electronic musician, DJ and producer Ross Birchard – who operates under the name Hudson Mohawke – you never know what you’re going to get, but you can guarantee it will always be fresh. His musical universe includes everything from Hip Hop to New Age, and while he might operate under the guise of a DJ/producer, his restless creative spirit reaches far beyond the confines of any set genre. For a decade, he’s issued records under his Hudson Mohawke moniker, and as one-half of TNGHT – alongside Canadian DJ Lunice. He has also collaborated with a host of big names including Kanye West, John Legend, Big Sean, R. Kelly, Azealia Banks, Drake, Lil’ Wayne, Selah Sue and many others. 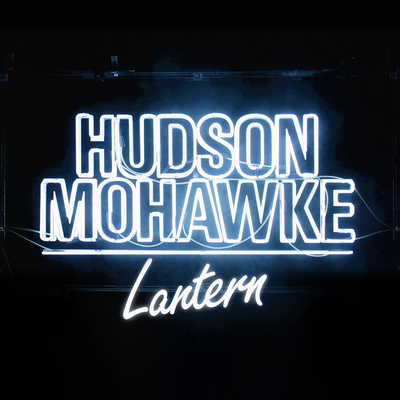 To say that Hudson Mohawke is a busy and in-demand artist/producer would be putting it lightly. With so many projects on his plate, it is no wonder it has taken six years for him to follow-up his 2009 debut album, Butter, but 2015’s sophomore effort Lantern is most certainly worth the wait. The album is as unpredictable as it is enchanting. The instrumentals on the album range from haunting to anthemic, with many of them straddling the line between Electronic mind-benders and epic soundtracks for the soul. The collaborations with vocalists Miguel, Antony Hegarty, Irfane, Ruckazoid & Devauex and Jhené Aiko take the music in different directions, yet fit together magnificently. Hudson Mohawke’s adventurous take on Electronic music keeps things interesting, never allowing the songs to become half-hearted or lackluster. An album that embraces and reflects the mood of the listener, Lantern is filled with surprises that are as emotional as Electronic music gets. STEPHEN SPAZ SCHNEE: Lantern is about to be released. How are you feeling about the album and the reaction to it so far? SPAZ: You’ve had a lot of projects over the last few years, but how come it took so long between the release of Butter and the new album? HUDSON MOHAWKE: It actually wasn’t something that even occurred to me until people started asking me that in interviews. I don’t feel like I’ve particularly stopped releasing music since the first record came out. I think there’s been like four or five EPs, as well as the collaborations on other people’s records – probably more than equivalent to a solo album. But it didn’t even occur to me that it had taken that long. I think that what I’ve learned in the last year or two has informed how I put this record together, so I don’t regret waiting so long. SPAZ: The thing I find fascinating about the new record – and your other releases over the years – is the fact that there’s such a variety of styles. Did you purposely try to avoid the trap of everything fitting a certain formula? HUDSON MOHAWKE: I think it was really because I had a strong feeling that a lot of people had only become aware of me via the TNGHT project. People weren’t necessarily aware that I’ve had numerous other releases, including a full length record before that. I wanted to remind people as well as inform them of the fact that I don’t just make this one particular style of music. SPAZ: I think the vocal collaborations are great, but I was more intrigued and moved by the instrumentals. When you start a track, do you already know if that that particular song is going to be an instrumental or vocal? Or is that something that presents itself over time? HUDSON MOHAWKE: I never know when I start something what it’s going to end up as. I sometimes try to do that, but invariably it ends up turning out the absolute opposite (Laughs). So, all of the ones I’ve started off thinking, “This is going to be an instrumental track,” end up becoming a vocal track and vice versa. I’ve given up on trying, because you’re only pigeon-holing yourself. A great deal of the enjoyment factor in making music is just messing around and seeing what comes of it. SPAZ: You’re often referred to as either DJ, producer, or electronic artist… are you comfortable with any of those descriptions or do you view yourself differently? HUDSON MOHAWKE: I guess I’m comfortable with those. Because I’ve been doing this for the better part of a decade now, I feel like I’m trying to take the next step. How I put this album together is completely different to how I put the last album together. This has been much more of a collaborative project – the earlier material was all recorded in my mom’s basement at 5 a.m., kind of hunched over a computer. On this album, I wanted to involve other musicians and, of course, vocalists, and make something that was just a little bit more of an expansive project overall. SPAZ: Did your prior collaborations influence or inform the way you made this album? HUDSON MOHAWKE: Yeah, very much so. To be honest, when I was making the first couple of records, I was not a fan of collaborating with people at all. I was fine to send files online – send an instrumental to someone and say, “Do you want to sing over this? Do you want to write verse over this?” But as far as working in the studio and creating an atmosphere, and building a song from scratch one on one, it was not something that I was a fan of at all. It took me a long time to get into that mindset where I actually ended up really enjoying that style of putting a song together. That’s something I feel that I’ve tried to accomplish with this record. I wanted to make a point of doing things in the same room as someone I’m collaborating with. SPAZ: Do you find you give them more creativity in that aspect, because you’re working with them in the same room? HUDSON MOHAWKE: Yeah, I think it really encourages more creativity. If you’re collaborating with someone, it’s a totally different approach as to something I would be doing on my own – I might spend two days working on a song that has like fifty or a hundred elements in it (Laughs). That’s not really necessary if you have a good working collaborative process with someone. You can really make something happen just within a matter of a couple of hours if you’re both on the same wavelength. 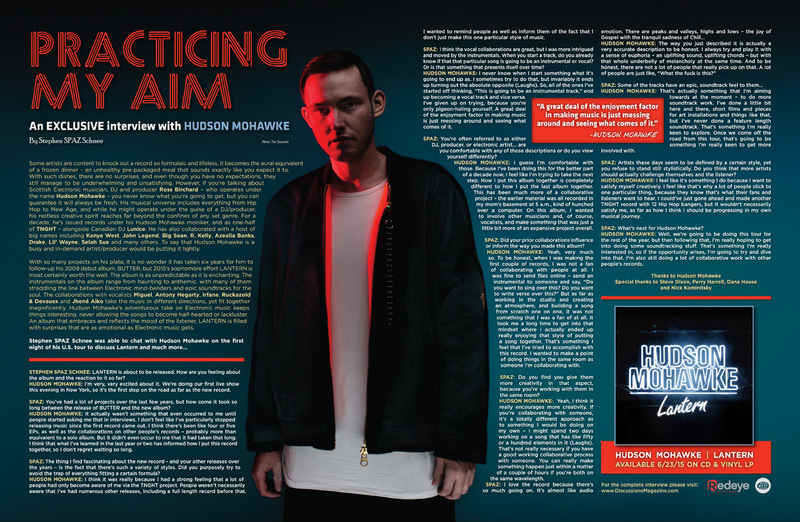 HUDSON MOHAWKE: That’s actually something that I’m aiming towards at the moment – to do more soundtrack work. I’ve done a little bit here and there, short films and pieces for art installations and things like that, but I’ve never done a feature length soundtrack. That’s something I’m really keen to explore. Once we come off the road from this tour, that’s going to be something I’m really keen to get more involved with. SPAZ: Artists these days seem to be defined by a certain style, yet you refuse to stand still stylistically. Do you think that more artists should actually challenge themselves and the listener? HUDSON MOHAWKE: I feel like it’s something I do because I want to satisfy myself creatively. I feel like that’s why a lot of people stick to one particular thing, because they know that’s what their fans and listeners want to hear. I could’ve just gone ahead and made another TNGHT record with 12 Hip Hop bangers, but it wouldn’t necessarily satisfy me, as far as how I think I should be progressing in my own musical journey. SPAZ: What’s next for Hudson Mohawke? HUDSON MOHAWKE: Well, we’re going to be doing this tour for the rest of the year, but then following that, I’m really hoping to get into doing some soundtracking stuff. That’s something I’m really interested in, so if the opportunity arises, I’m going to try and dive into that. I’m also still doing a lot of collaborative work with other people’s records.